The winners of the IDTechEx Energy Harvesting and Wireless Sensor Networks Awards were announced at the 5th annual conference and exhibition in Berlin, Germany on Wednesday the 17th of April during the keynote sessions. 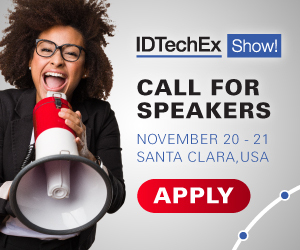 The event, attended by over 300 people and co-located with 6 other IDTechEx events covering a range of emerging technologies gave the opportunity to attendees to find out which were the innovations that stood out among all the submissions in the 4 categories. The award was given to Sol Chip, for the development of their solar energy harvester with a power management solution, a complete device with a high level of integrations and a wide range of applications in many vertical markets. The award went to EnOcean GmbH for their deployment of over 20,000 devices in order to improve the energy efficiency of the Squaire Building, a building near Frankfurt Airport in Germany. The sheer size of the deployment is very impressive and goes hand in hand with the equally impressive energy savings achieved using EnOcean's technology. Although representing EnOcean GmbH, Frank Schmidt who received the award made a point of highlighting the importance of the whole EnOcean Alliance ecosystem, and quoted the Alliance's contribution as being paramount to the success of the project. This award was won by Libelium and their partner IDOM, for their novel application of a Wireless Sensor Network solution in wine production. Deploying WSN in vineyards comes with many challenges, especially given the very traditional approach in this type of industry. Javier Martinez pointed out that this is part of the beauty of WSN and the coming "internet of things" which he considered to be the next technological revolution. Finally, the best poster in the session was the contribution of Dr Daniel Lewandowski from Wroclaw University "Solid State Magnetic Phenomena and their Power Conditioners for Low Power Electronics", research work focused on utilizing magnetostrictive phenomena to harvest energy for low power devices. IDTechEx would like to thank the awards judges once more, Oliver Prietze from OSRAM and Paul Mitcheson from Imperial College London, as well as all awards entrants. We would finally like to encourage you to submit your entries for the next Energy Harvesting and WSN awards, which will be taking place during the North American instalment of the IDTechEx Energy Harvesting and WSN conference which will be taking place in Santa Clara, California on 20/21 November. For more information, please contact Mrs Corinne Jennings .